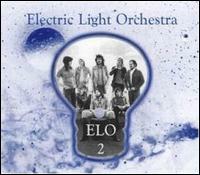 ELO 2xCD: ELO 2 & The Lost Planet. Roy Wood: Bass & cello (track 1 & 4). Marc Bolan: Twin lead guitar (track 10, 11 & 12). Carl Wayne: Lead vocals & harmonies (track 18, 19 & 20).